They were recognised as part of the Arts Council England’s Designation Scheme, which was set up in 1997 to 'identify pre-eminent collections of national and international importance held in England’s non-national museums, libraries and archives, based on their quality and significance'. Previous Designated status examples include Churchill’s archives, the Romantic Movement and the history of the surgical profession and in total £32m has been invested in the protection and development of the Designated collections to make them more accessible to the public. In July 2013 the Designation scheme closed to applications to enable a review and these four latest collections are now part of a pilot programme which will open the way for the re-opening of the scheme in spring 2012. “We are delighted that the importance of these collections has been recognised with the award of Designation,” said Scott Furlong, director, acquisitions, exports, loans and collections at Arts Council England. The ss Great Britain Trust, Bristol is a fully-accredited museum that holds one of the world’s finest maritime collections and the National Brunel Collection. Its largest and most significant objects is Isambard Kingdom Brunel’s great steamship, the ss Great Britain, which overlooks Bristol’s Floating Harbour in the dry dock that he originally built for her – and where she has undergone a full restoration since being rescued from rust and wreckage in 1970. Alongside the ship the rest of the Collection is cared for in the Brunel Institute. 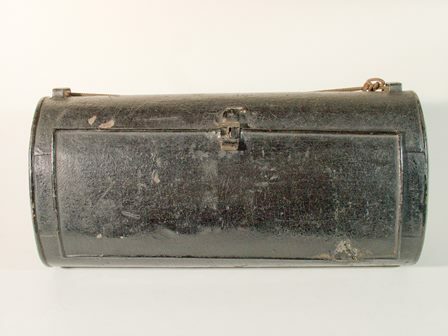 Diaries, letters, objects and photographs tell the stories of passengers and crew, who travelled on board the luxury passenger liner since her first voyage in 1845. 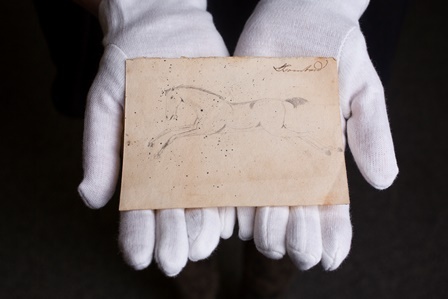 Brunel’s drawings, letters, diaries and sketches include the startling drawing of a horse that gives a glimpse into the childhood of a six-year-old Brunel, his dramatic and beautiful original 1829 designs for the Clifton Suspension Bridge from 1829, and iconic objects such as his famous cigar case holding the ‘last’ cigar. In keeping with the Designated status the collection is a valuable learning tool for people of all ages and contributes to personal identity and social cohesion. The Brunel Institute is one of a few academic archives in the world to offer ‘access on demand’, which means that anyone with an interest in maritime history, the ss Great Britain or Brunel can visit and view the objects free and without appointment. Plans are currently underway for a new Being Brunel museum to open in 2017 where visitors will be able expect to see significant parts of the Designated Collection on display for the first time. 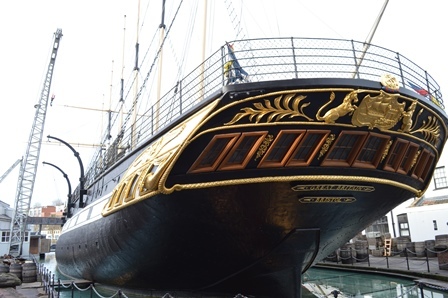 “This is a great and important accolade for the ss Great Britain Trust Collection. I am extremely proud to care for a nationally-important Designated collection, and also of the entire team who care for it and ensure it is accessible for everybody, everyday,” said ss Great Britain Trust Chief Executive Matthew Tanner. The British Motor Industry Heritage Trust, Gaydon features the world’s largest collection of historic British cars and an equally extensive archive of films, images and other motoring artefacts. 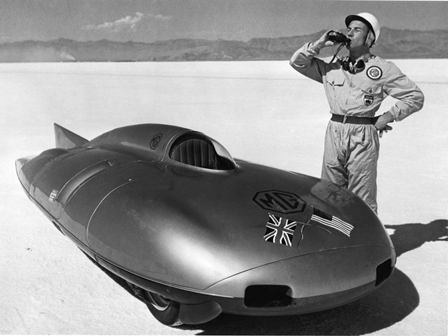 Notable manufacturers include Austin, Morris, Mini, MG, Wolsley, Riley, Triumph, Rover and Land Rover. Together with the equally extensive archive of films, images and other associated artefacts, this comprehensive collection describes the history of Britain’s motor industry, from its beginnings in the 1800s to the current day. Nottingham City Museums & Galleries’ Lace Machinery and Lace Collections tells the distinctive story of the city’s industrial and textile past and explains how a domestic craft became an important mass market commodity. Lace production played such a huge role in the heritage of our city and it is important to remember the international reputation of Nottingham lace and that we continue to celebrate it today,” said councillor Dave Trimble, portfolio holder for leisure and culture at Nottingham City Council. The Linnean Society Collections comprise a world renowned library (in all languages, with especially strong collections of eighteenth and nineteenth century titles) and collections of plant and animal specimens, books, letters, portraits and art including items collected by some of history's most famous scientists, such as Carl Linnaeus (1707-1784), Sir James Edward Smith (1759-1828), Alfred Russel Wallace (1823-1913), Charles Darwin (1809-1882) and Sir Joseph Banks (1743-1820). The Society has been at the heart of many scientific and cultural developments relating to our understanding of the natural world, most notably, Charles Darwin's and Alfred Russel Wallace's epoch-making papers on the theory of evolution by natural selection were first read at a meeting of the Society.